Posted November 1st, 2015 by Mike Boyes & filed under Abnormal Psychology, Anxiety OC PTSD, Eating Disorders, mental illness, Personality, Social Influence, The Self. Description: While you may have an opinion about possible differences between people who do and people who do not regularly take and post “selfies” online what do you think about the possibility that self these can be used as data to tell us about the people who take them? 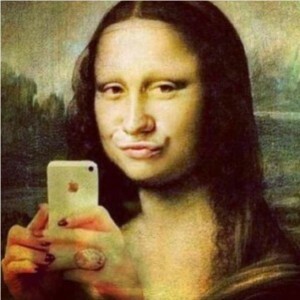 Source: Lecia Bushak, Selfies can reveal personality traits: What your duckface says about you. Medical Daily. So what do you think? Is there a relationship between the nature of people’s selfies and their personality or their general mental health? The study discussed in this article (and cited below) suggests a number of different possible connections. They found for example that “people who scored higher levels agreeableness were likely to emit a positive vibe from their selfies, as well as hold the camera lower.” Further they found the people who scored high on conscientiousness are more likely to be secretive about the location of their selfie, suggesting privacy concerns. Finally, though perhaps not surprisingly, “people pulled duck faces [that exaggerated pouty lips look] are more likely to score higher on skills of neuroticism or emotional instability. They also found that people were able to fairly accurately predict other people’s scores on openness and extroversion by simply viewing their selfies, again no real surprise. So now you have to decide whether to stop taking selfies entirely or to simply give more thought to the posing and production values of the ones that you do take and post online. What are some of the relationships between aspects of selfies and personality found in the in the research discussed within the article linked above? What sort of hypotheses might you generate in relation to both the act of taking selfies in the construction of the selfies themselves and people’s personality if you were designing future research studies in this area? What other social media components and items might we examine in the same way as a follow-up to this research project? Qiu L, Lu J, Yang S, Qu W, Zhu T. What does your selfie say about you? Computers in Human Behavior. 2015.